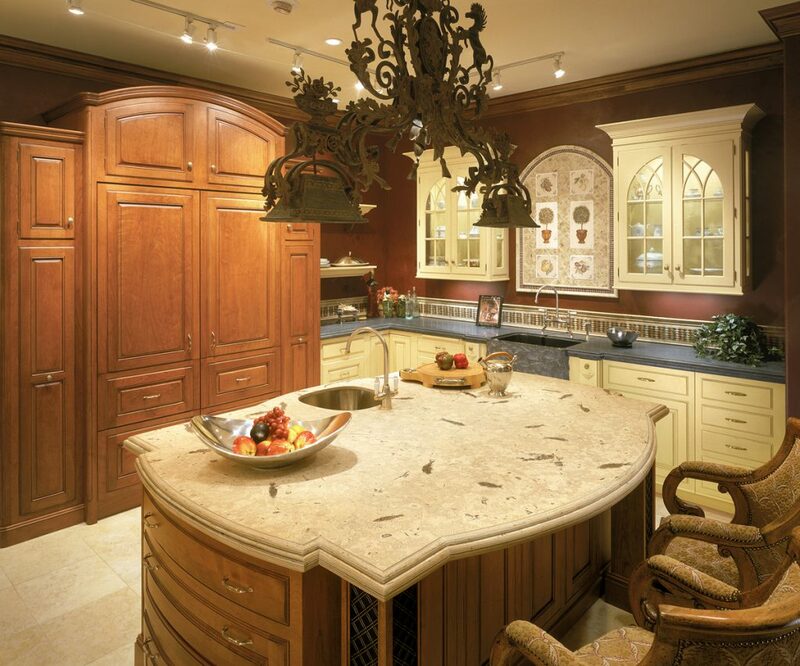 A backsplash, counter or vanity top created from our fossilized limestone becomes a functional, timeless work of natural art. Each is unique, and each is designed with function and room integration in mind. 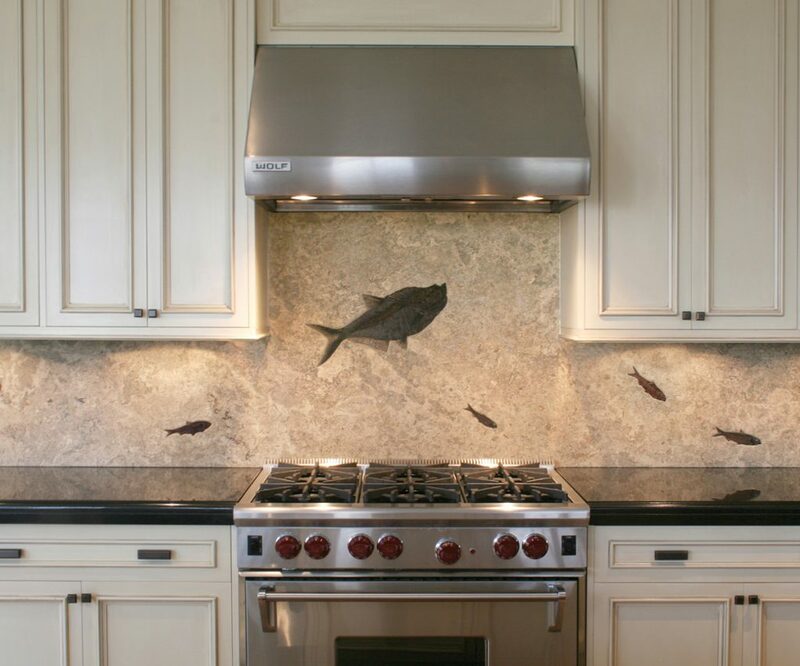 Backsplashes can be constructed from small or large tiles selected for their color, finish, and fossil content, or they can be created from a single, continuous slab of stone. 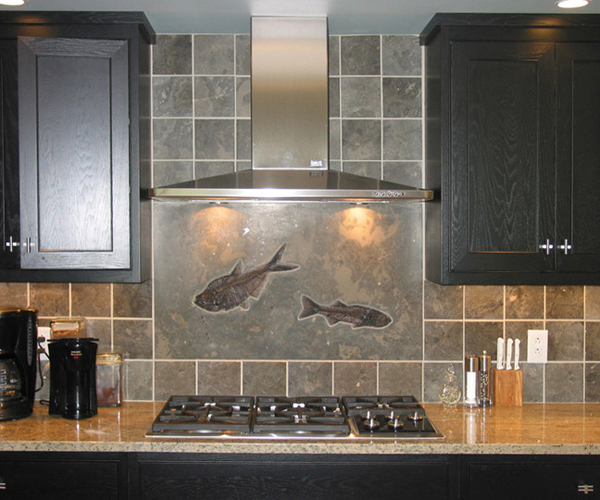 Eostone offers a selection of pre-made, ready-to-install backsplashes, or we can custom design and build a backsplash to your specifications. 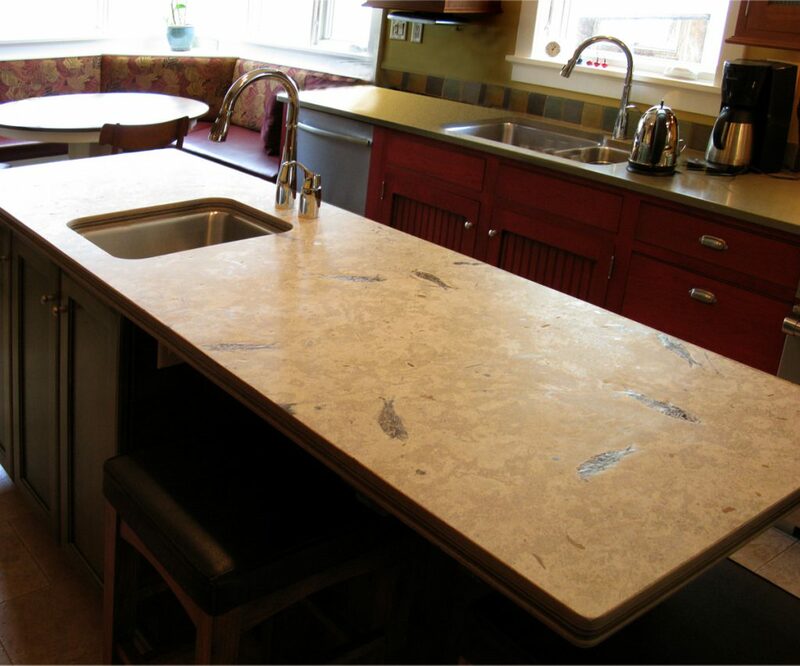 Vanity tops are designed to accommodate the sink location, faucet location, and all other design elements, and can be supplied with a matching backsplash. 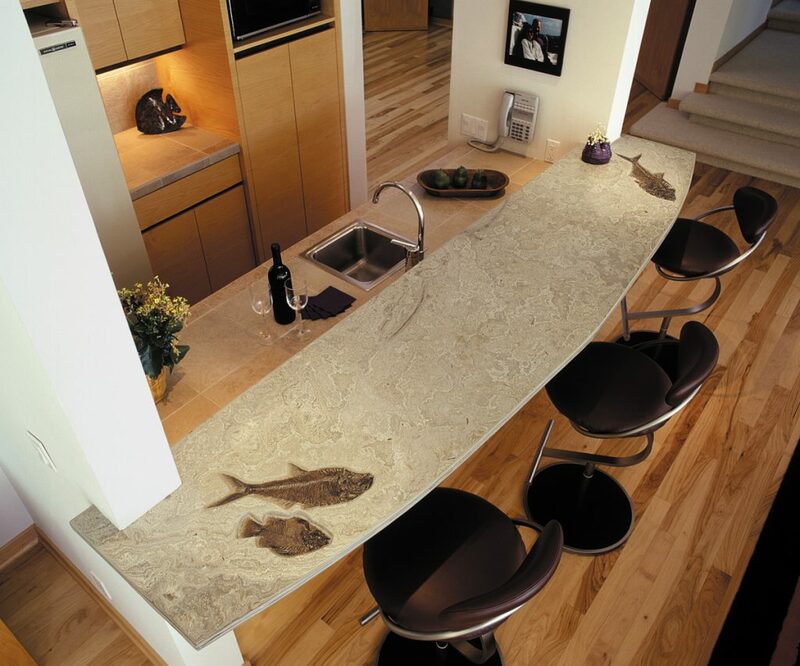 Eostone’s countertops, island tops, and bar tops are truly remarkable! When a stone especially suitable for a countertop is found in our quarry, the stone is taken out of the ground with that specific application in mind. Such a slab would contain strong fossil content, be structurally sturdy, and show good coloration. Our company prizes these large and hard-to-find fossil slabs. All of the stone used in these practical applications is supplied with a hand-rubbed sealer designed to protect the stone against stains.